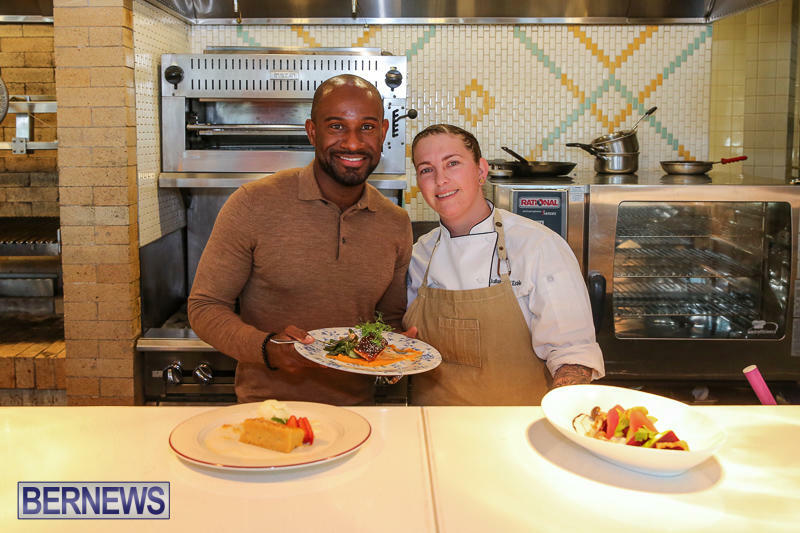 The first video in Bernews’ behind-the-scenes series of Restaurant Weeks provides a look at Marcus’ at Hamilton Princess, with some of the featured dishes shown live on camera by Bermudian Chef Juliana D’Estelle. Chef D’Estelle – who has been with the restaurant since it opened in May 2015 – provided a cooking demonstration, preparing dishes from the Restaurant Weeks menu, including roasted beets and pickled mushrooms, miso-glazed salmon, and rum cake. Bernews will continue to provide behind-the-scenes look at some of the participating restaurants via live broadcasts on the Bernews Facebook page, and you can view all our coverage of Restaurant Weeks here and all our coverage of cuisine here. I visited this restaurant and the food wasn’t that good to me. I was not impressed.